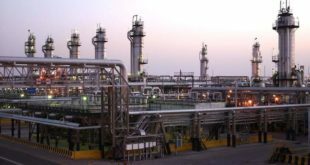 Oman is working with consultancy Mckinsey & Co to integrate its refining and petrochemical industries into one entity, a senior Omani official and a financial source familiar with the matter said. “The work is being carried out by McKinsey. It is not finished yet,” the senior official said. In recent years, Gulf countries have looked at ways to shake-up their oil firms, including privatizations, to make them more efficient during a period of low oil prices. Saudi Arabia is seeking a public listing for its flagship oil company Saudi Aramco, while Abu Dhabi National Oil Co has embarked on a plan to privatize its services business and has signed deals with global partners on upstream projects. Oil prices have recently recovered to their highest since late 2014 following output cuts by major producers. Oman has been considering privatizations of a wide range of state firms for several years. Last year, it said it planned to sell shares in some state-owned downstream energy companies to the public, partly to raise money as low oil prices pressure its finances.